When you book with Pismo Lighthouse Suites directly, we pride ourselves on providing you with the lowest price, less hassle, and one amazing experience. Read on below to discover a few of the many benefits of booking direct with Pismo Lighthouse Suites, but pay close attention—we’ve included a special offerjust for you! This isn’t a promotion—it’s a promise. When you book directly through our official Pismo Lighthouse Suites website, you can choose to save up to 20% off your total reservation, just for coming to us first! Our all-suite oceanfront hotel in Pismo Beach offers a vibrant and dynamic setting that families love. 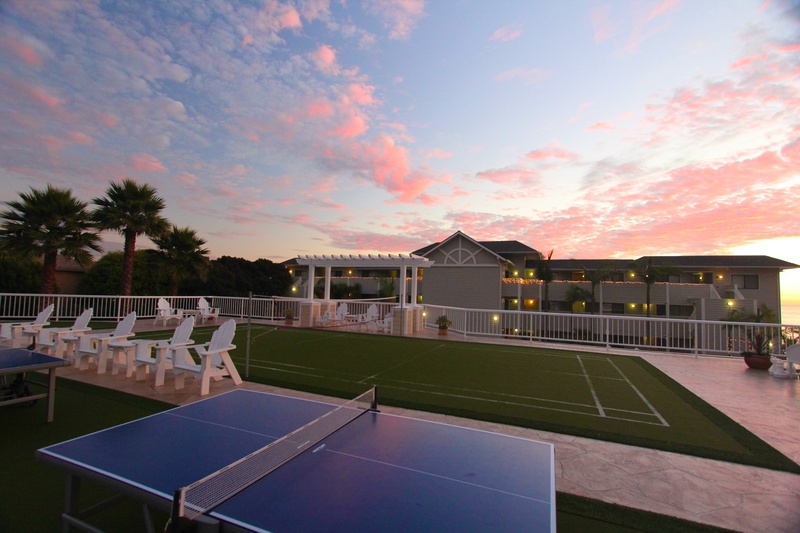 At our family-favorite vacation destination, you’re welcome to play like a kid again on our gorgeous, one of a kind, open-air deck space featuring a putting green, life-size chess, badminton, Ping Pong, and more! In addition to our unique location and unparalleled property features, booking directly also gives you access to request special items, add enhancements to your room, and communicate directly with our team from the moment you make your reservation. Spending a birthday, anniversary, or another noteworthy occasion with us? You can add thoughtful touches like cookie cakes, flower arrangements, or rose petals to your room only by booking direct. Most of our packages and special offers are exclusive to our website and email subscribers. 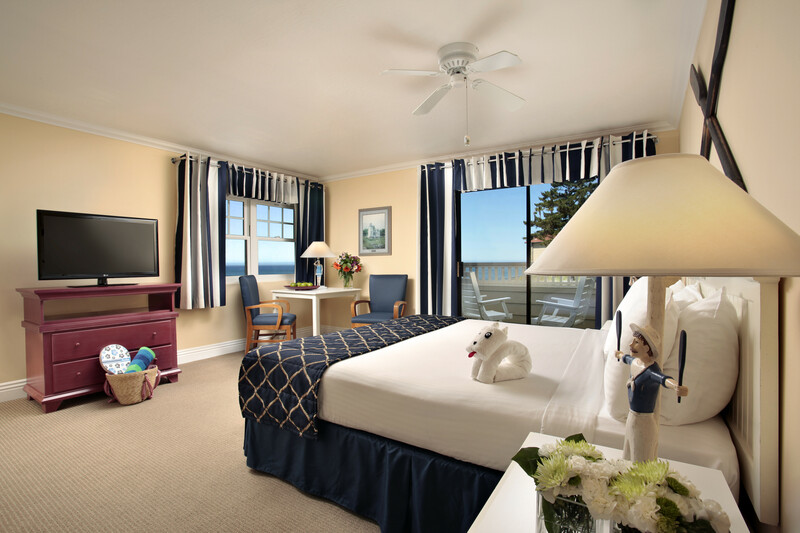 Whether you’re planning a family vacation or a spacious romantic retreat for two, Pismo Lighthouse Suites has it all! Celebrating an anniversary? Book our Dinner Package and enjoy discounted overnight oceanfront accommodations, a bottle of local wine, two souvenir wine glasses, a wine opener, a $50 gift card to a participating Pismo Beach restaurant, and a voucher for ice cream to enjoy as dessert. Kicking off summer with fun in the sun as a family? 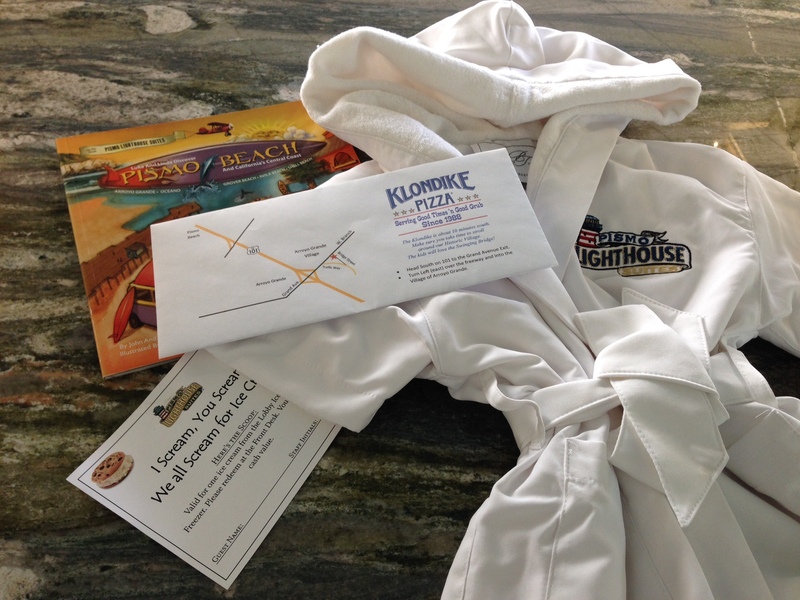 The kids will love our Steal-A-Robe Package which includes discounted overnight accommodations, a voucher for a discounted dinner at Klondike Pizza, an ice cream voucher, and a plush, hooded souvenir robe from Pismo Lighthouse Suites. Or you can simply book at least 21 days in advance, and we’ll give you up to 25% off your stay. Click here for all of our website-only specials and packages. 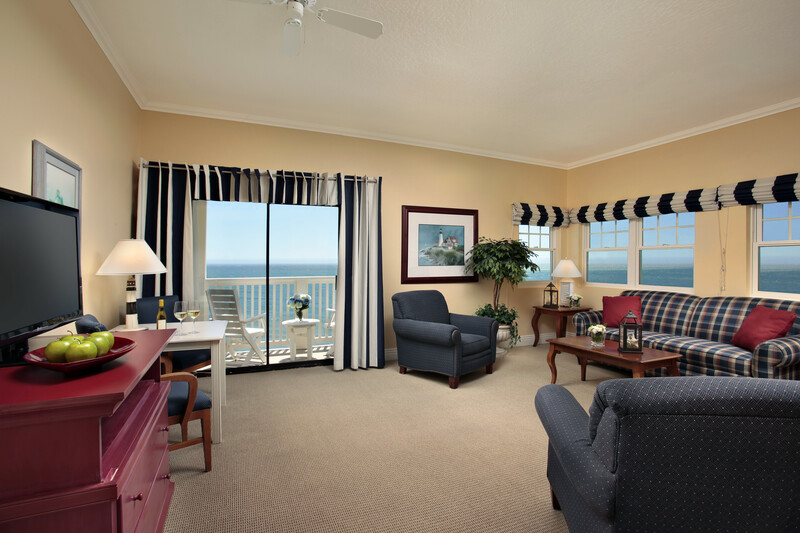 Our website is the only booking site that offers all available suites with accurate descriptions and floor plans. Unlike online travel agencies, our website provides the most up-to-date information on the Internet, so you can book without wondering if you’re missing out on something. Choose from Oceanfront Suites, Family Suites, Master Suites, ADA Suites, and even dog-friendly rooms when you book direct with Pismo Lighthouse Suites. In fact, our breathtaking Master Suites that feature a master bedroom, two bathrooms, and separate living space complete with a Queen-size pull out sofa and a private patio or balcony can’t be found anywhere else online—so call us directly at 800-245-2411 to book these in-demand suites. At Pismo Lighthouse Suites we strive to give our guests more. After all, it’s the little things that matter most, right? That’s why we’re happy to offer complimentary, resort-quality amenities without the resort fees. 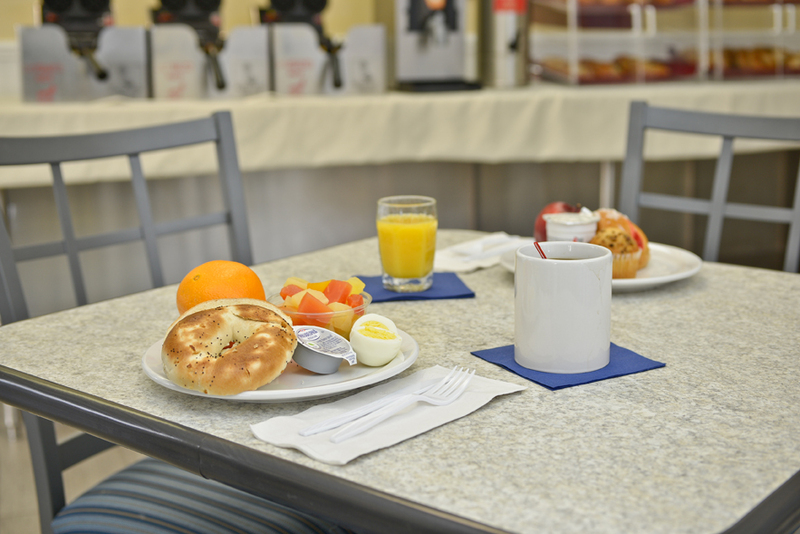 As our guest, you’ll enjoy free daily continental breakfast, free Wi-Fi, fresh baked cookies upon check-in, laundry facilities, complimentary parking complete with Tesla Electric car charging stations, coffee and tea in the lobby, and much more during your stay when you book direct. We know it’s the tiny details that have the biggest impact on your guest experience, so this is our way of welcoming your family into our home. Simply sit back, relax, and let us take care of it all. BOOK DIRECT WITH PISMO LIGHTHOUSE SUITES TO ENJOY ALL THIS AND MORE. CLICK HERE TO BOOK NOW.